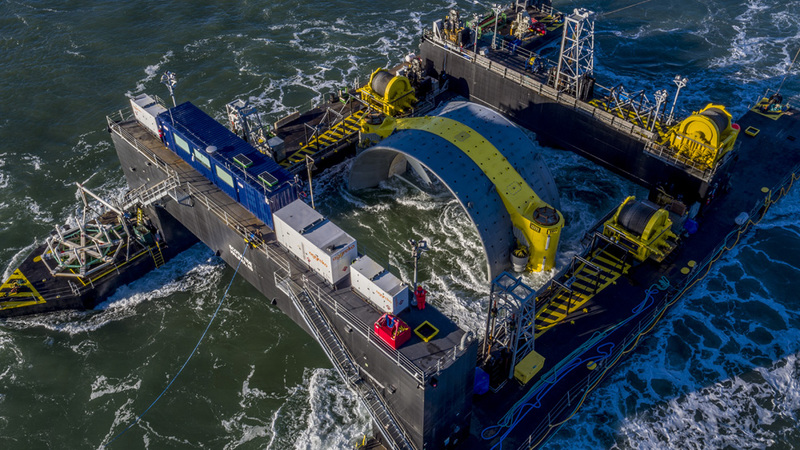 A Nova Scotia Supreme Court judge has ruled that the provincial environment minister acted reasonably when she approved plans for the installation of two Cape Sharp tidal turbines in the Minas Passage, near Parrsboro. The Bay of Fundy Inshore Fishermen’s Association sought to overturn the minister’s decision partly on the grounds that the government did not have enough baseline scientific information to measure potential adverse effects on marine species and their habitats. She also sided with lawyers for Cape Sharp Tidal Inc. and the provincial government who argued that it’s necessary to get turbines into the water in order to measure their effects. “It is in fact essential that the demonstration turbines actually operate to understand the risk and environmental impacts,” the judge wrote. She dismissed the fishermen’s argument that the environment minister failed to follow the precautionary principle in response to scientific uncertainty about potential harm. She pointed to the “careful monitoring, study and reporting” required by the government, adding that these are consistent with the precautionary principle. Madame Justice Robertson said it is not the court’s role to evaluate the science behind the tidal project and that the government’s review of the science was thorough and reasonable. The judge heard the case on February 1st. To read Warktimes coverage of that hearing click here. For the latest on Cape Sharp’s decision to pull the turbine from the water for repairs, click here. This entry was posted in Tidal Power and tagged Bay of Fundy Fishermen's Association, Cape Sharp Tidal Inc., Madame Justice Heather Robertson. Bookmark the permalink. It took Justice Robertson two months to make this decision? No wonder there’s such a backlog in the courts!